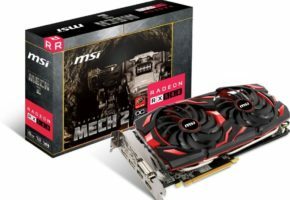 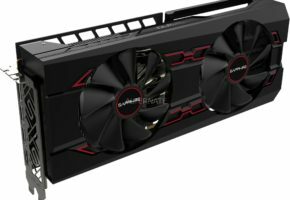 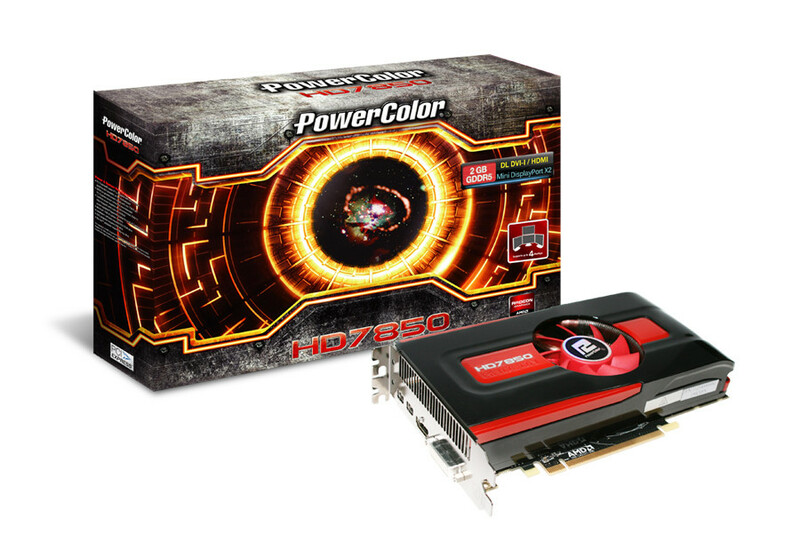 TUL Corporation, a leading manufacturer of AMD graphic cards, today introduces the HD7800 series graphics solution and an overclocking edition, PCS+ HD7870, available at the same time. 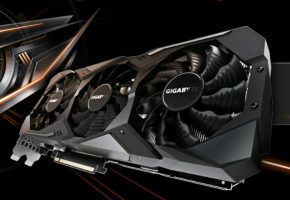 Equipped with new 28nm GCN architecture, PowerColor HD7800 series delivers cutting-edge efficiency and extraordinary performance with the support for vivid DirectX® 11.1 gaming. 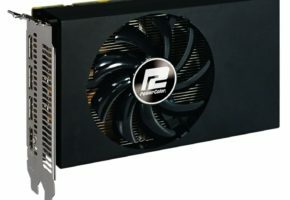 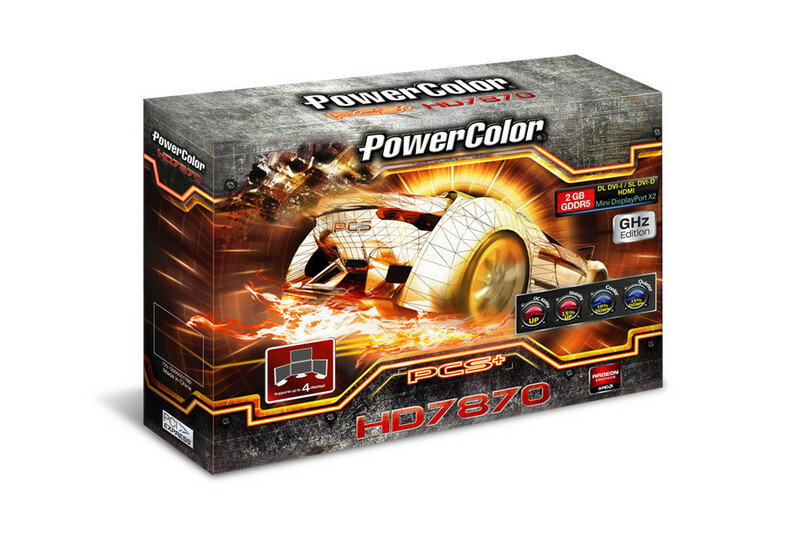 The PowerColor PCS+ HD7870 has factory overclocking setting at 1100MHz core speed and 1225MHz memory speed; with PowerColor unique cooling solution design, enabling 10% cooler performance and 15% better noisy level through 92mm ultra big cooling fan and SSU heat pipes direct touch technology, provides an outstanding gaming and cooling effect without any compromise. 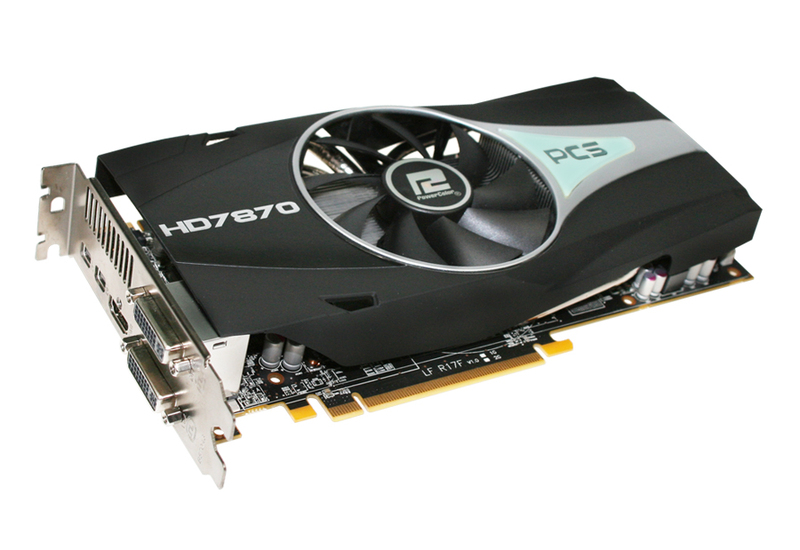 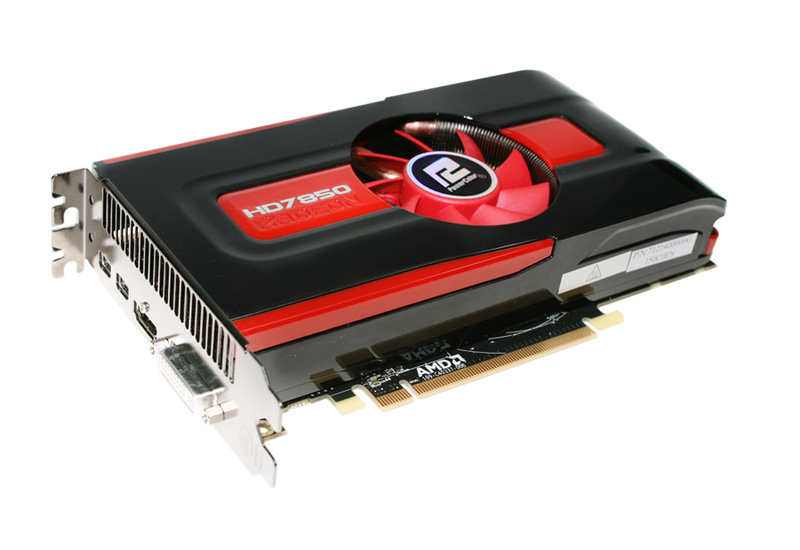 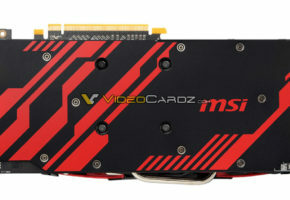 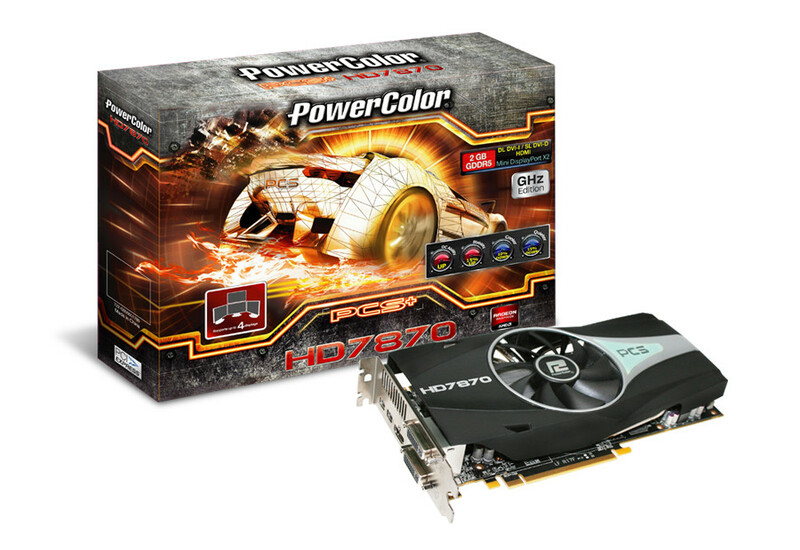 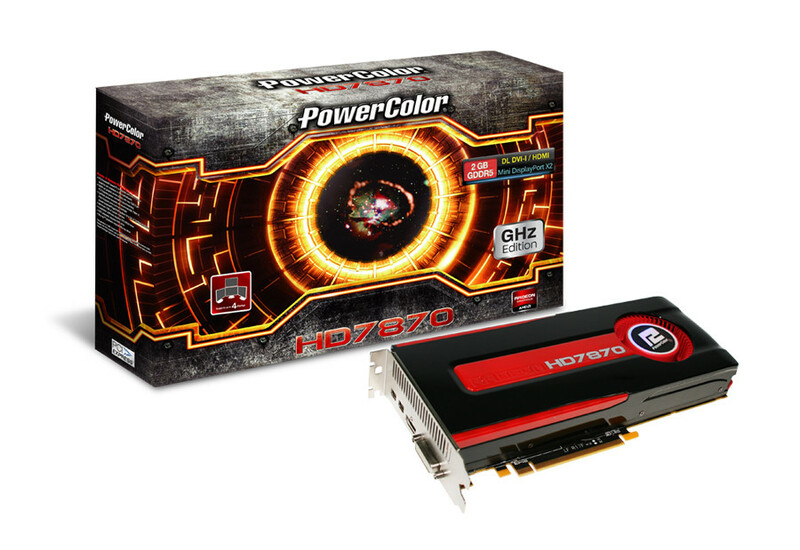 PowerColor also packed HD7870 GHz Edition and HD7850 in the lineup. 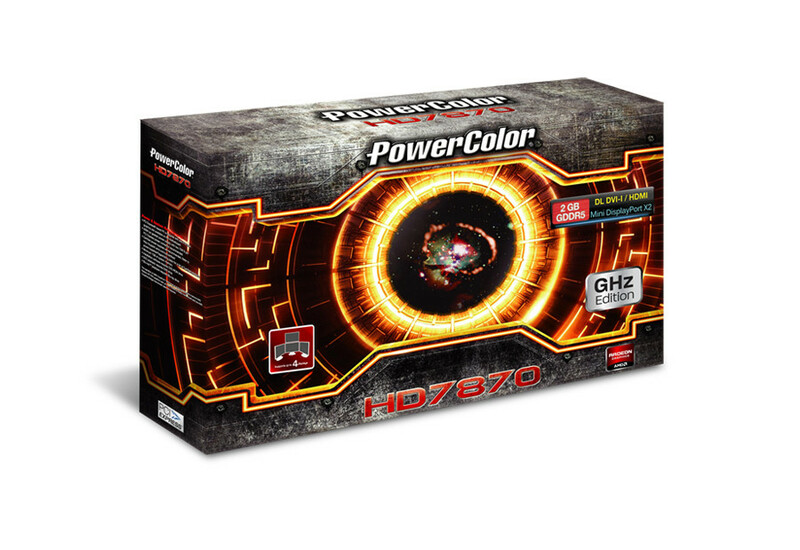 HD7870GHz edition clocks at 1GHz core and 1200MHz memory speed, while HD7850 has 860MHz core and the same memory speed. 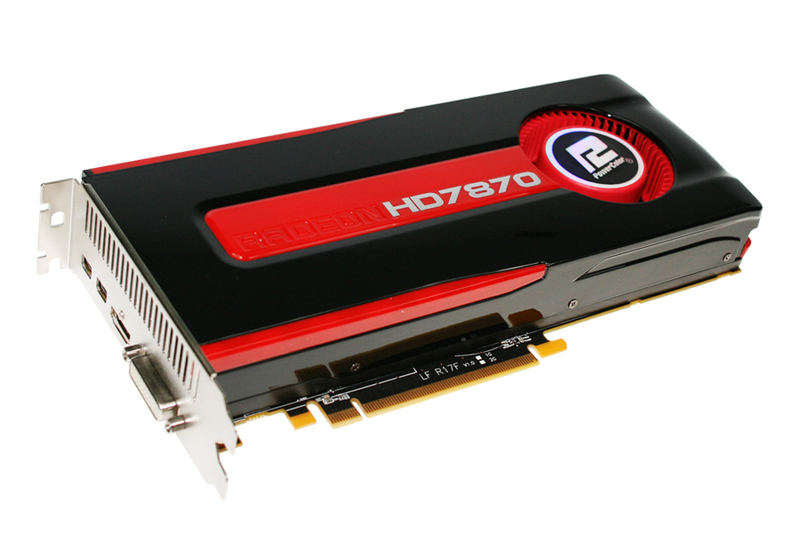 All the latest HD7800 series feature the industry-leading technology; by utilizing AMD Eyefinity 2.0 technology and AMD HD3D Technology, the HD7800 series supports multi-display stereoscopic 3Dcontent, allowing an immersive “wrap around” gaming experience. 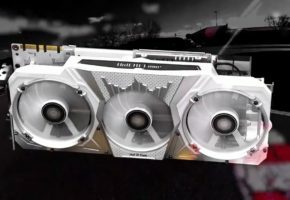 Also, it packed with AMD PowerTune technology, enabling the intelligent power monitoring to enable higher clock speeds and better performance when needed, delivering the most efficient way for gaming like never before.